Welcome to a new version of the Children’s Book Flood now situated at our lovely children’s library. The world of children’s books has a lot of exciting things to offer. Reading for the sake of enjoyment can, among other things, steer readers onto new paths, stimulate the imagination, expand the vocabulary, and contribute to empathy and open-mindedness. Reading is the key to learning, and children’s interest in reading can be reached effectively through play and creativity. 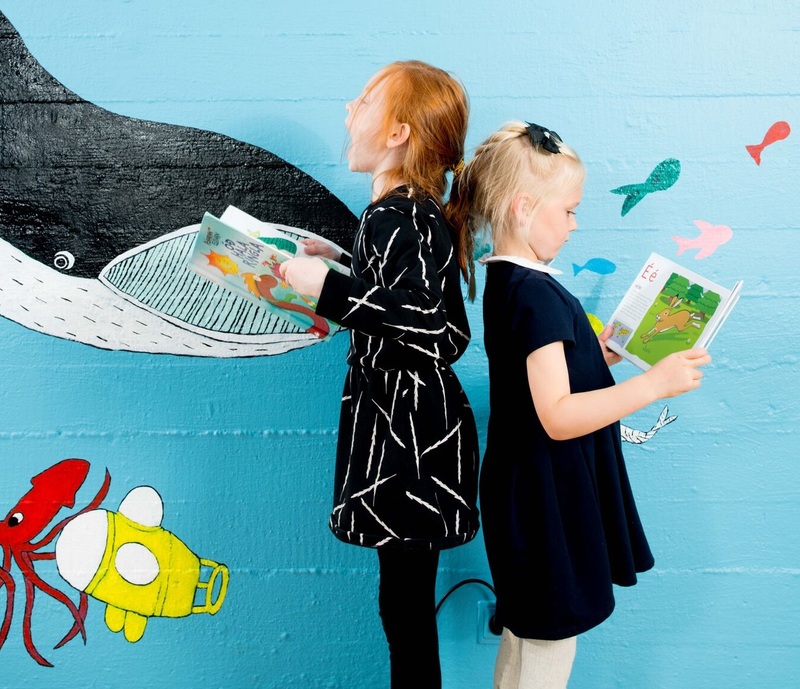 The exhibition Children’s Book Flood is made for visitors to actively take part. The Midgard Serpent (Miðgarðsormur) takes the children on a creative journey from one place to another. Children’s books build bridges between the places and the travellers make their own passports that they stamp at each new destination. “There are all kinds of heroes” is an art workshop for the creation of new children’s books characters. The visitors of the exhibition sail away on an adventure in a Viking ship whilst getting a story read to them. A treasure is hidden on a desert island and the children get to write a message in a bottle. 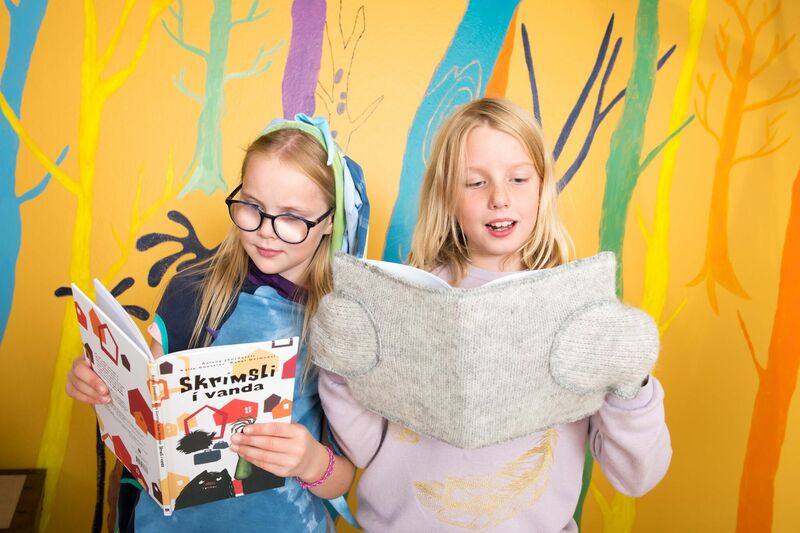 At the Story Making Workshop, the children get the opportunity to write and draw their own stories, as well as take part in a very enjoyable children’s books quiz, where you can win a book. In connection with the Story Making Workshop, there is a dark cave for visiting travellers. In the dark, there are various things hidden and space brings imagination to life. After the exploration of the cave, you can lie down and dream under a starry sky of galaxies and black holes. The exhibition and all related events are organized by the Nordic House on the occasion of the 50th anniversary of the house. The curator of the exhibition is Kristín Ragna Gunnarsdóttir, writer and illustrator. The producer is Kristín Ingvarsdóttir. The exhibition will open in the Nordic House at the end of September 2018 and finish in March 2019. The exhibition is especially suited for children age 6-10 years old. Please note, however, that children under the age of six should not be left alone. We have lunch tables at the entrance to the exhibition. Food and drinks are not allowed in the exhibition room.